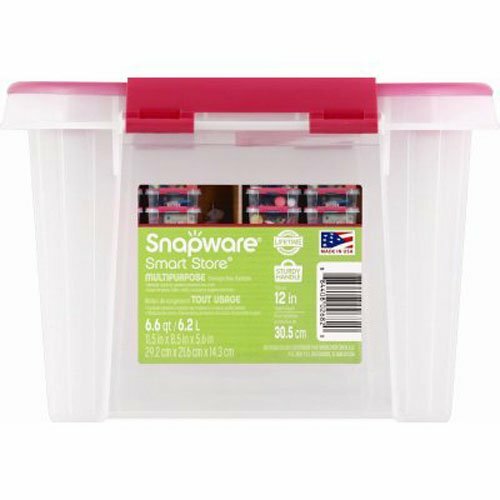 Snapware Smart Store, 12" x 6", Storage Container With Cerise Handle, Reinforced Corners, Snap Lock Latches & Customizable Labels Are Just Some Of The Features Of These Premium Storage Items, Modular Stackable Design. View More In Trash, Recycling & Compost. If you have any questions about this product by Snapware, contact us by completing and submitting the form below. If you are looking for a specif part number, please include it with your message.